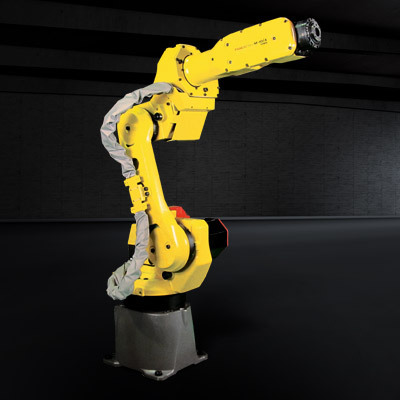 The fastest handling robot in its class, the M-10 series delivers improved throughput and optimised cycle times across a wide range of pick, place and machine tending operations. 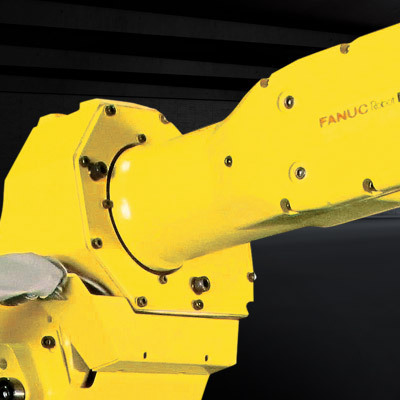 Very compact and lightweight, this 6 axis high performance model boasts the best repeatability in its class. 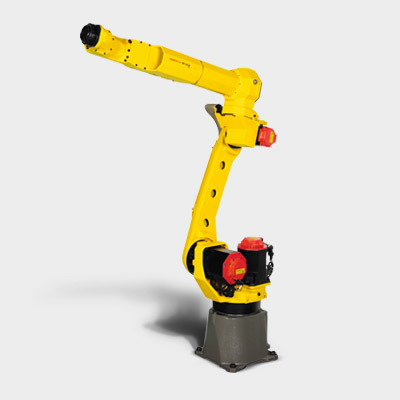 This space-saving industrial robot is ideal for applications that require reaches of not more than 1101 mm. 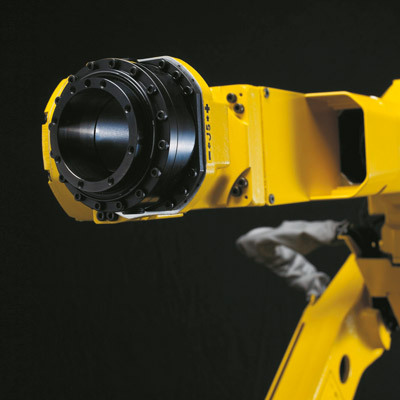 Enabels the 130kg M-10iA/10MS to handle parts weighing up to 10 kg. 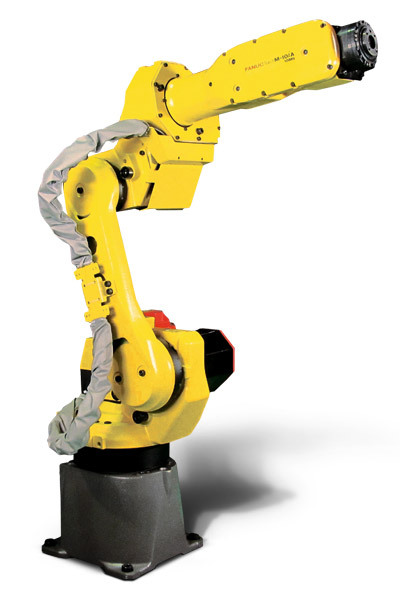 Floor, ceiling, angle and wall mounting methods allow for maximum use of the robot work envelope. 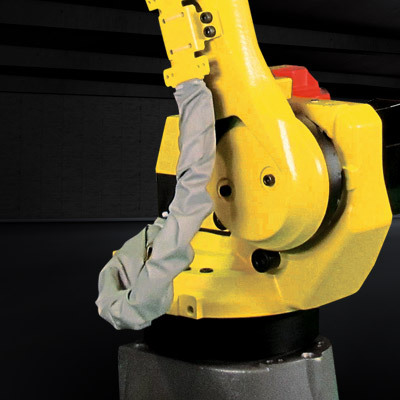 Simplified dressout and routing of cables and airlines as standard and a 50 mm hollow wrist and upper arm reduces costs and increases reliability. 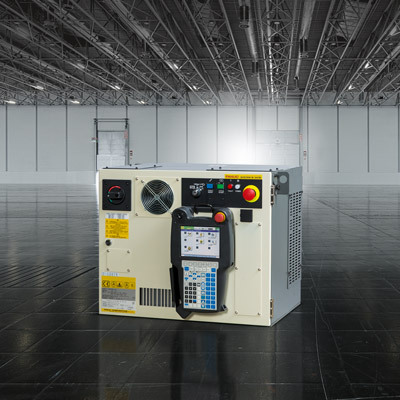 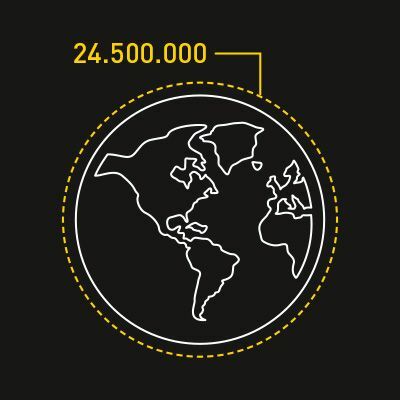 M-10iA/7L variant available for applications that require greater reach.